"XR" is a new trailer frame style that is now available on all 2,300 pound to 4,000 pound capacity boat trailers. Our field tests have revealed that by replacing the keel roller with eight rollers on the front cross member significantly improves the loading characteristics for late model aluminum boats with hull designs that are wider, flatter and without lift strakes. The new configuration has two – four roller clusters on either side of the keel of the boat that help center the bow as the boat is loaded. 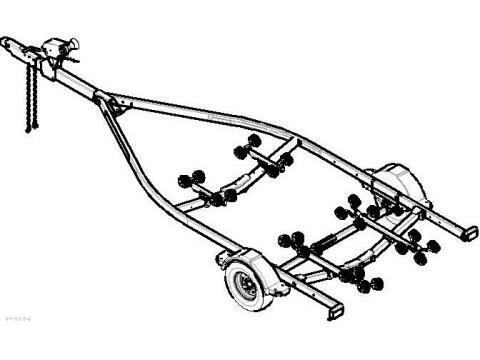 Length of Roller Rack: Front – 25 in. Length of Roller Rack: Rear – 57 in.